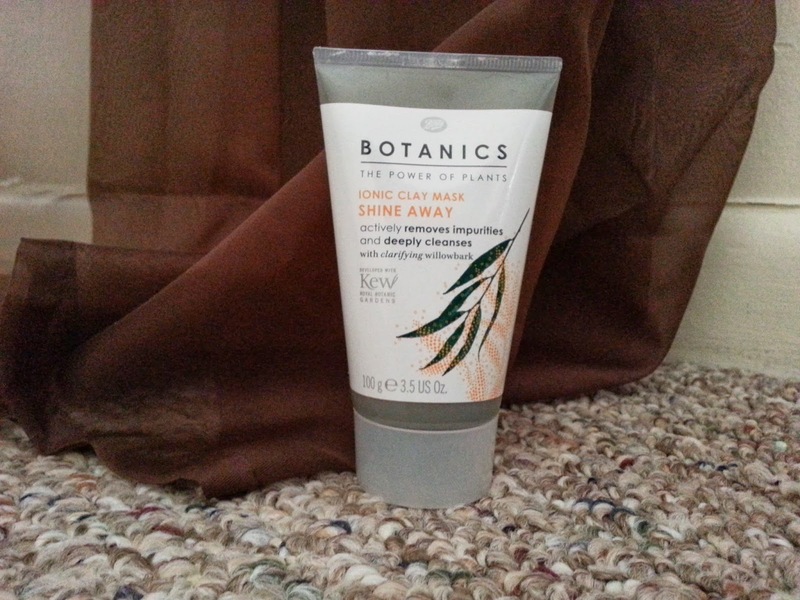 The first product I will be testing from the Influenster J'Adore VoxBox is, Boots Botanics Ionic Clay Mask. Treat your skin to deep cleansing with this mineral-rich clay mask. Designed for use on normal skin, the unscented, hypo-allergenic formula absorbs excess oil and deeply cleanses skin. The oceanic clay exhibits a negative electrical charge, which helps to draw out impurities without overdrying, skin is left looking clearer whilst feeling softer and smoother. Willowbark, a key ingredient in the Boots Botanics Shine Away Ionic Clay Mask, is nature’s champion clarifier. The bark of the willow tree is a natural source of salicylic acid which helps to refine skin texture and actively target imperfections. How to Use: Shake well before use. Apply to cleansed skin and leave to dry for 10 minutes. Rinse off with warm water. I noticed a difference in my skin after just ONE use! I am highly impressed with this product. My skin looks and feels incredible! I'm always looking for face products that can do deep cleaning for my teens. This would be great for them to try. I love using face care products. I am always trying to find something to even my skin tone. I loved this one even though it was runny. Made my face feel smooth and refreshed after! Boots makes good stuff. I need a new mask. I also got a chance to try this and I LOVED it!!! I have never been a huge fan of facemasks but this one was fast and worked great. I love that brand. I haven't done a clay mask in a while. I have to try this one. Thanks for sharing! I have been trying to find more natural products to use! Sounds good to ke I love masks!